Unique, amazingly soft, comfortable, adjustable. Zensling is your perfect, first time, easy-to-put-on carrier, from newborn onwards, made from stretchy fabrics. The Mamaruga Zensling is an amazingly soft buckle carrier. It fastens with a buckle waist and side buckles, just like a standard buckle, yet it has the softness of a wrap. Lightweight, with a lightly padded waist, it adjusts across the seat (narrows for newborn babies) and at the sides to shorten the panel. A perfect fit for your little one every time. Adjustable and soft, it’s a wonderful option for your newborn and as they grow. Easy to adjust for great fit for you, the lightly padded shoulder straps can be spread across your back for comfort. 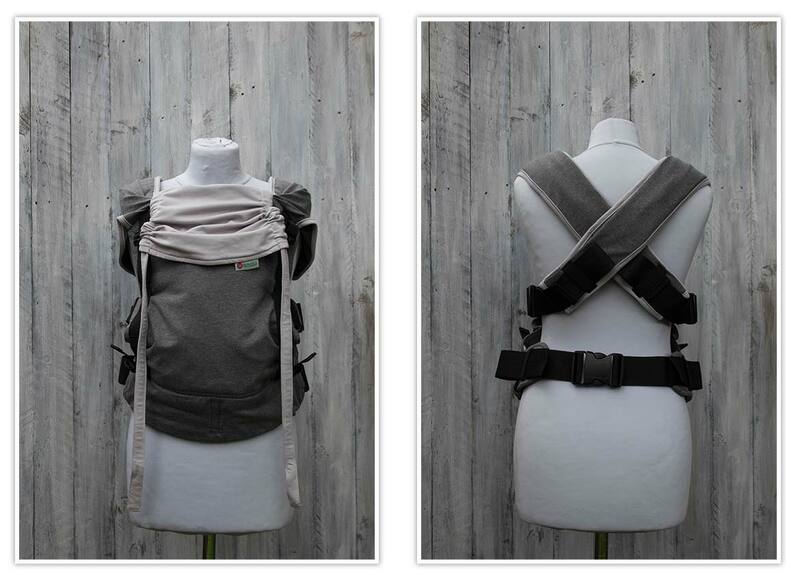 A super-soft, super-comfortable carrier for wearer and baby. Full instructions can be downloaded here.